Sarah Bolitho has been in the industry for nearly 30 years, working with many types of clients across most disciplines including gym, personal training, group exercise classes, Pilates, yoga and mindfulness. She has worked with specialist populations both independently and as part of a successful exercise referral scheme for over 20 years. Her key areas of expertise are exercise referral, mental health, cancer, pre and post natal, diabetes and obesity, disability, older adults, behaviour / lifestyle changes and weight management. Sarah is particularly keen on training in the natural environment and building activity into daily life. Sarah is a leading Exercise Referral course tutor, assessor and IQA having delivered the qualification for leading training organisations for many years and has trained staff on the Welsh National Exercise Referral Scheme in many disciplines. She has designed and delivered Level 4 qualifications in Obesity and Diabetes and Mental Health and holds these plus the Level 4 Back Care and Cancer Rehabilitation qualifications and delivers on the Level 4 course for Can Rehab. She also holds the ILM Level 5 Management and Leadership qualification. Sarah also works as an EQA for a leading awarding organisation and as a specialist lecturer for Cardiff Metropolitan University. A member of the Institute for Learning and the Royal Society of Medicine, Sarah has contributed regularly to Sportex Health magazine, REPs journal, Fitpro and Health Club Management as well as several mainstream publications. She is a regular speaker at industry conventions and conferences on mental health and other topics. Sarah has co-authored several books, Exercise your way to health: Stress; The Complete Guide to Physical Activity and Mental Health; The Complete Guide to Pregnancy and Fitness and The Complete Guide to Behaviour Change. She co-authored the Complete Guide to Aqua Exercise for Pregnancy and Post Natal Health (with Vicky) and The Complete Guide to Fitness Facility Management. Vicky Hatch has over 20 years industry experience in all disciplines from aerobics to step and is a leading specialist in all water-based and aqua exercise. Her key areas of expertise, in addition to aqua, are ante/post natal, older adults, chronic disease and disability, diabetes and cardiac rehab. Vicky is the Exercise Rehabilitation specialist within the Cardiac Rehab team at the renowned Royal Papworth Hospital in Cambridge. Vicky is a keen advocate of water-based exercise and has developed the Aqua Referral and Pre-Natal and Post-Natal Aqua courses for Exact to enable instructors to work with these populations in the pool. Together with Swim England and the Institute of Swimming Vicky has developed the Level 3 module Aquatic Activity for Health enabling Exercise Referral instructors to deliver water-based exercise. 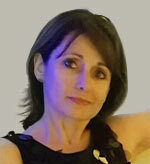 She is currently working on a specific module for aqua with clients with cardiac conditions, Cardiaqua©. An experienced and innovative tutor, assessor and internal verifier, Vicky has helped to develop many courses and qualifications for a number of different training providers. A regular contributor to FitPro magazine, Vicky co-authored the Complete Guide to Aqua Exercise for Pregnancy and Post Natal Health and is a member of the Guild of Pregnancy and Postnatal Exercise Instructors (www.postnatalexercise.co.uk) and the Institute for Learning. Vicky holds a Masters in Preventative Cardiology and is also developing CPD training in Cardiac Rehab for Level 4 instructors and has advised on participant suitability for a popular television weight loss programme. 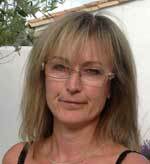 She has just completed her Level 3 Diploma in Teaching Pilates as part of her ongoing development. Vicky spends much of her spare time walking her boisterous dogs!